This came during the visit of His Highness Sheikh Abdullah bin Zayed Al Nahyan, Minister of Foreign Affairs and International Cooperation, from the 21st - 24th of last April, to Tokyo. The UAE official added that the second MoU eases the entry procedures for UAE citizens carrying the regular passports to Japan for tourism, business and official reasons. They are required to present their passports to the Japanese Embassy in Abu Dhabi, or the General Consulate of Japan in Dubai, or any diplomatic or representative office of Japan in any other country, to register their date of entry into Japan through an electronic sticker that is placed on the passport, with a validity period of three years or for the remaining period of their passport's validity, which is free of charge. This sticker allows the UAE citizens to remain in Japan for a maximum of 30 days. Sheikh Abdullah bin Zayed Al Nahyan and Japanese Foreign Minister Fumio Kishida had exchanged the two official memoranda, one of which was the exchange of visa exemptions for holders of official diplomatic and private passports issued by the two countries. 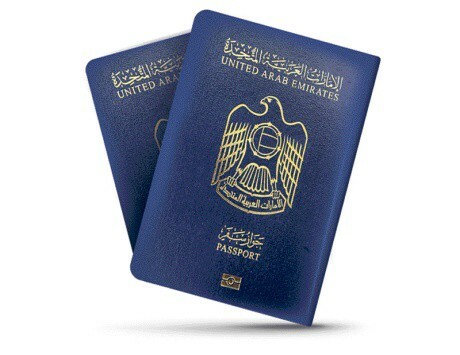 Meanwhile, the second was to facilitate the entry procedures for the UAE citizens, holders of regular passports, into the Japanese territory effective from July 1, 2017.